"AKITA POSTEN " - We dare you! 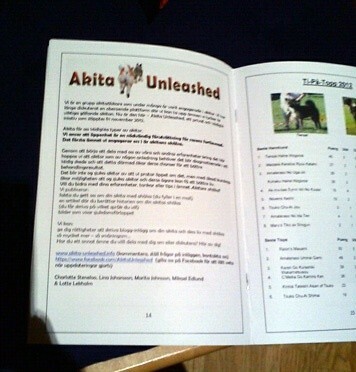 The Norwegian Akita club wanted to publish information about Akita Unleashed. So we wrote a short article for them for their club-magazine. It was published this week.